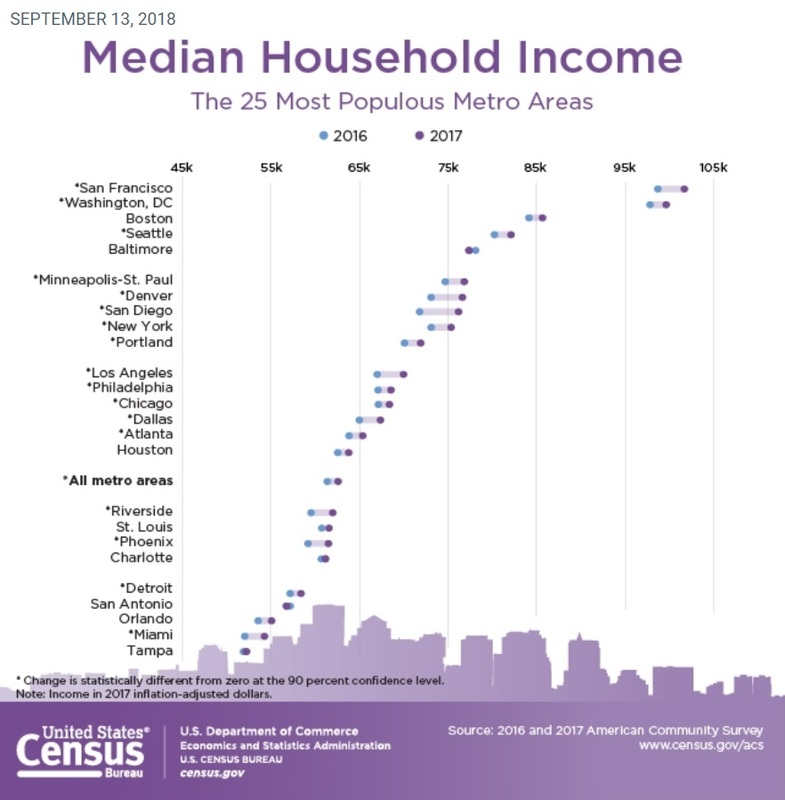 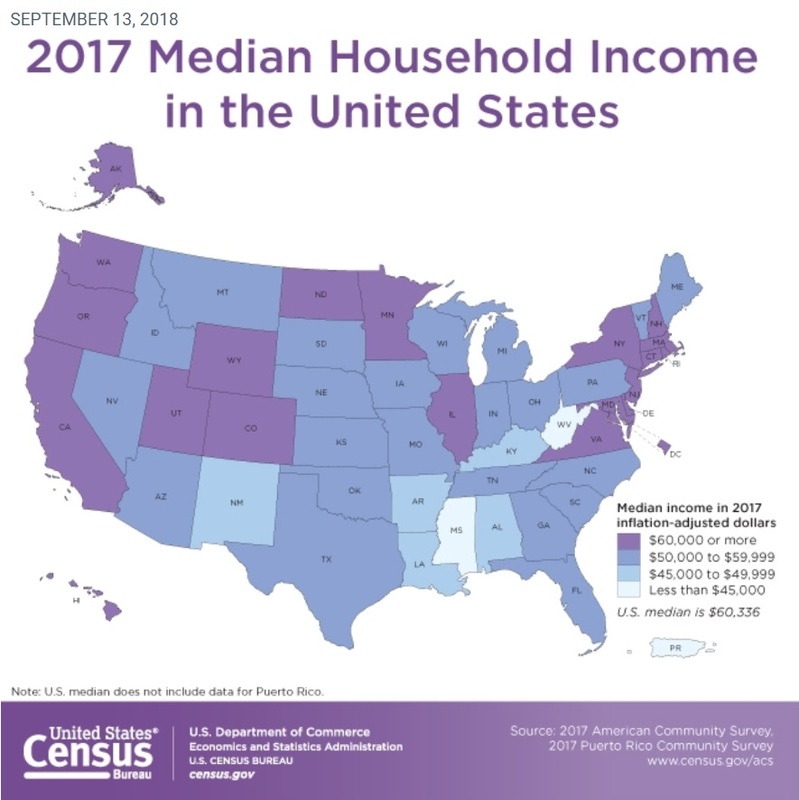 SEPT. 13, 2018 — The U.S. Census Bureau released its most detailed look at Americas people and places. 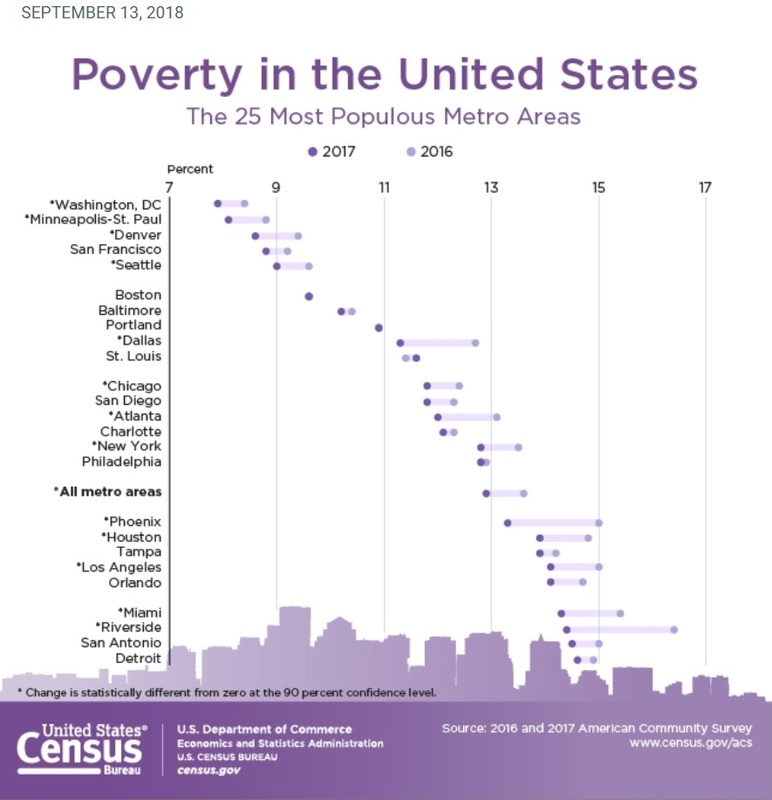 This data also includes the African American population. 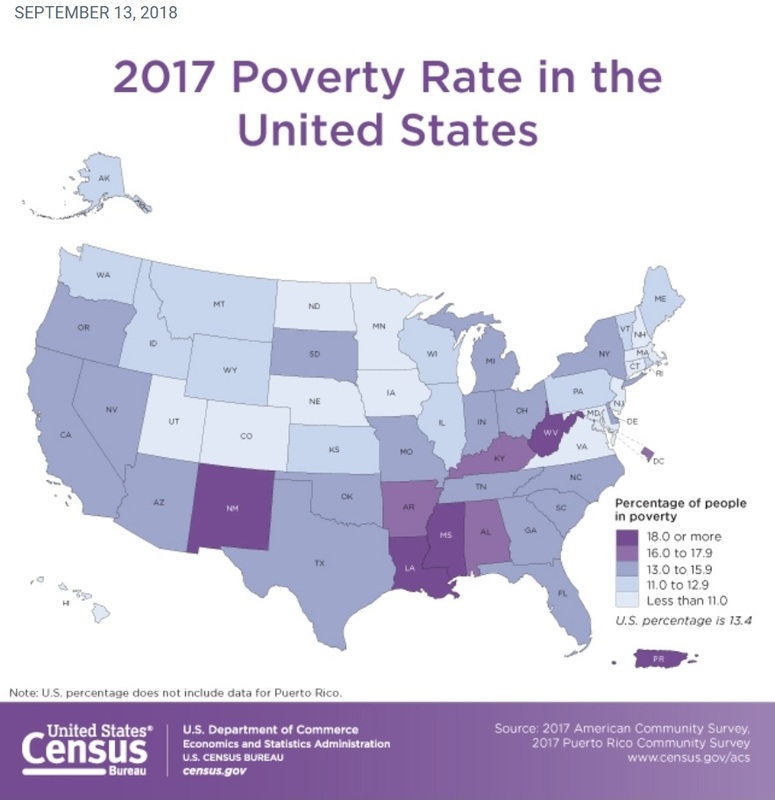 Many large metropolitan areas saw an increase in income and a decrease in poverty rates between 2016 and 2017.